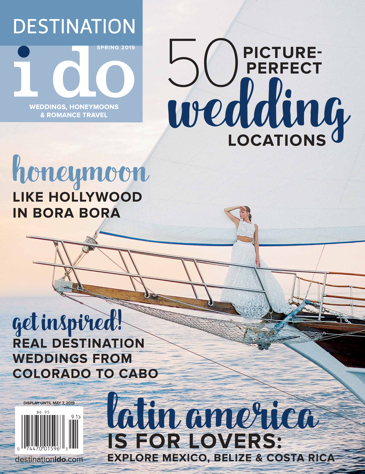 Whether you’re in the process of planning your destination wedding, honeymoon or simply a romantic getaway for two, this issue has something for you. (Rhyming unintended!) 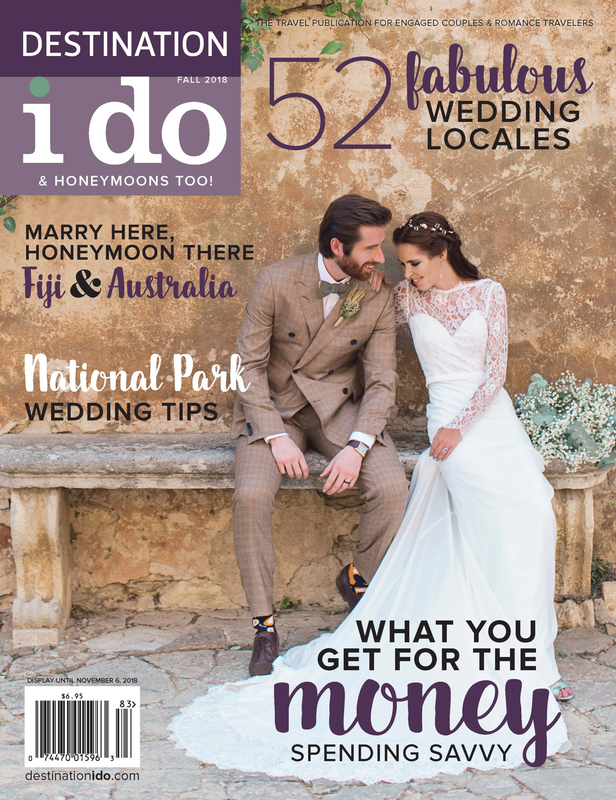 On this cover, our real-life bride is stunning in a custom-designed gown by Susanna Rachel, earrings by Vitrine Designs, hair vine by Kirena Exclusive, hair and makeup by Giulia Makeup and shoes by Ellie Wren. The groom is the definition of dapper in a custom designed suit by Doherty Evens and Stott and tie by Handsome and Lace. This real-life wedding can be seen in its entirety starting on page 118 of the new issue. The image was taken on-site at Villa Catignano in Tuscany, Italy by professional photographer, Amanda Donaho Photography.